Responding to God, trusting in Him and persevering in studying the Word of God. These themes were explored in three messages by three pastors on the weekend of multiple services that occurred on Jun 23 and 24. Five years ago, former pastor with City Harvest Church Singapore, Derek Dunn and his wife Susan followed God’s call to start a church in America. On March 26 this year, City Harvest Church in Orange County celebrated its fifth anniversary. 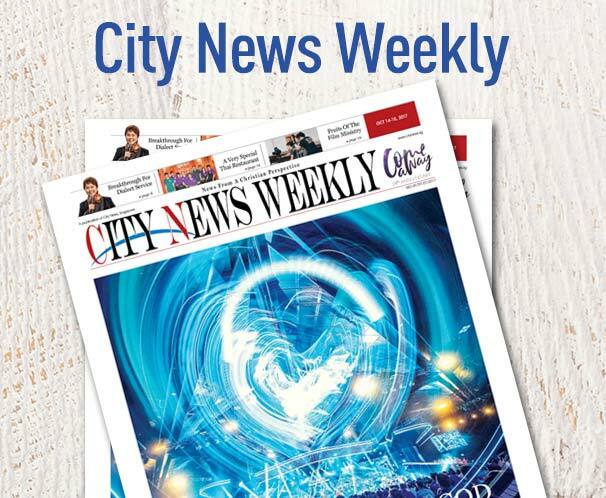 City News caught up recently with the lead pastor of CHC’s affiliate church in America. Why is it important to know the names of God? City Harvest Church’s executive pastor Bobby Chaw explains. This Mother’s Day, we pay tribute to the most maligned mothers in society: mothers-in-law. The presence of God, the name of God, His kindness and His love were the topics at last weekend’s services at City Harvest Church in Jurong West. The second multiple services weekend at Jurong West saw four pastors delivering messages centred on becoming stronger Christians. It garners nearly 10,000 weekly hits. This Sunday (22 April), City Radio, CHC’s online radio station, City Radio, turns seven. We talk to programme producer Bernard Loh and program editor Mervyn Lim about the journey.